I hesitated to read this because the subject manner was the sort that I have a difficult time reading…then I saw a review that said it was disturbing but not graphically so…and I thought, maybe I can get through this. Since Amazon basically gave (I paid $1.99) me a KU membership for the next 3 months, I went for it. 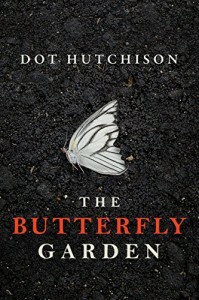 The Butterfly Garden is seriously twisted but something about it kept me from investing in the story completely. I honestly think that was due to the wide-ranging reviews on this book. I think they jaded me right from the start. I'm not going to get into the details of that because I wouldn't want to ruin it for anyone else. Although, I will say that the twist at the end felt entirely unnecessary to me and it really just left me confused. Narration~ ☆5☆ -Lauren Ezzo was amazingly good & ☆4☆ -Mel Foster was decent too.